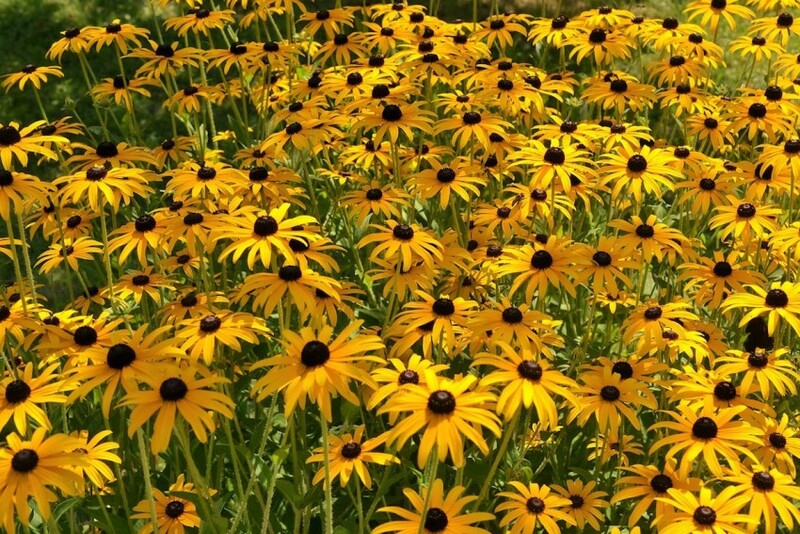 Rudbeckia and Echinacea are two prairie flowers that love it as the mercury climbs and look just right shimmering in the sun. Add into the mix the calming balance of some flowering grasses and you have a ready-made planting combination that will cope with the driest of summers. 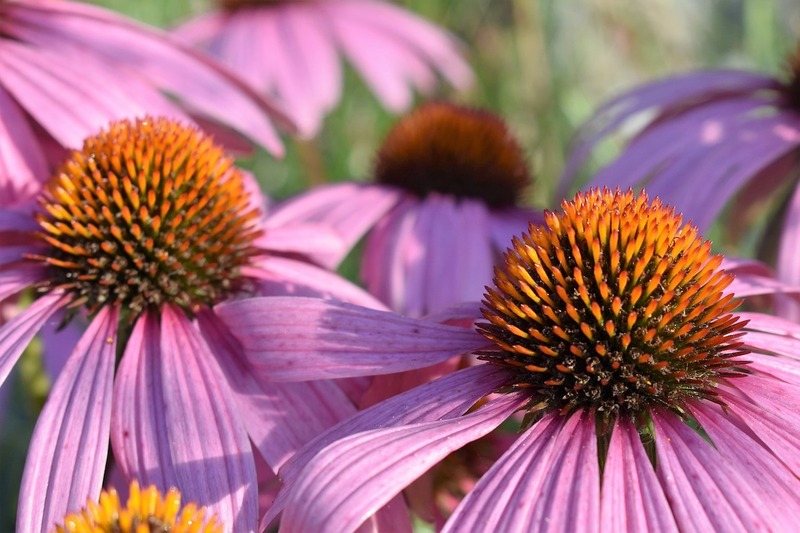 Rudbeckia and Echinacea are quite similar plants, both with a North American, prairie heritage, but the hairy leaves of Echinea are a handy clue for distinguishing one from the other. Both are superb border perennials, combine well with ornamental grasses and are attractive to butterflies. They’ll add glorious colour through the summer months and will look impressive in open woodland settings or as part of meadows of wild flower areas. They love full sun but will be equally at home in light shade. Look out for members of the Pennisetum family. Pennisetum alopecuroides ‘Hameln’ is compact, with bottle-brush flowerheads and dark green leaves that turn golden-yellow in autumn. The leaves of Pennisetum villosum can reach up to 60cm in length and take on a purple hue when fully grown. Pennisetum orientale is a mound forming grass with dark green leaves and bears beautiful flowerheads up to 14cm long. Other suggestions of great grasses are: Zebra grass (miscanthus) or reed grass (calamagrostis). Make the most of the summer holidays. Why not help your kids be creative in their own corner of the garden. Visit your local garden centre and look out for instant colour and interest plants that they can plant. Wait and see, with practice they’ll be making a better job of the garden than you! Find the vibrant you this August – do yourself the power of good and get out there. Walk in the woods, on the hills, in your local park – maybe on the beach if you’re by the coast. Whatever the weather - it doesn’t have to be blue skies to enjoy the outdoors and the personal benefits are marvellous.